Holy Child College is a Catholic College for girls in Lagos, Nigeria, it was set up on 9 April 1945 by the Society for the Holy Child Jesus (SHCJ). 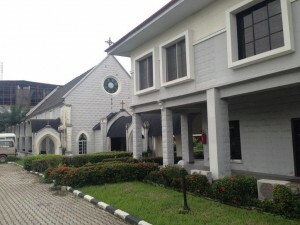 It is located in South-West Ikoyi on the cusp of Obalende and Keffi, to the front of the College is her brother school St Gregory’s College, Lagos. 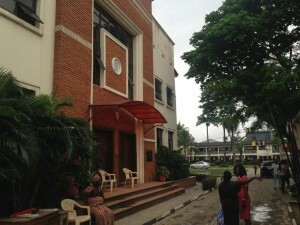 Holy Child College Lagos, consists of Junior and Senior Colleges and practices the 6-3-3-4 educational system in Nigeria. The current School Administrator is Rev. Sister Ify Atuegbu, the current Head Teacher of the Senior College is Mrs Asiegbu while that of the Junior College is Mrs Ezeanya. The College is the 1st Day/Boarding school owned by the Roman Catholic Archdiocese of Lagos, it operates between the hours of 7:30am and 3:30pm. The school uniform comprises of a burgundy four-cornered Cap, a cream Blouse, a burgundy Skirt for Seniors and a burgundy Pinafore for Juniors, white Socks, and brown Shoes. 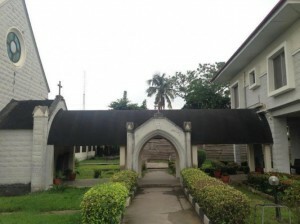 Holy Child College, South West, Ikoyi, Lagos, was started by the Society of the Holy Child Jesus on the 9th of April 1945 at the invitation of the late Archbishop Leo Taylor who wanted a good secondary education for girls in his Archdiocese. The Society of the Holy Child Jesus, founded by Rev. Mother Cornelia in 1846 in England, was then well known all over the world for its educational programme for girls. The programme was based on trust and reverence for the dignity of each other. Three Sisters (two English and one American) had arrived in Calabar, Nigeria in 1930 bringing with them not only a missionary spirit but Cornelia Connelly’s educational philosophy of reverence for each individual. The college took off with thirty students and four nuns dedicated to “Simplicity, Humility and Charity”. There were only two classes with fifteen students in each class. By the time the first set completed the six-year programme, the students had increased in number from 30 in 1945 to 200 in 1950. Today there are over 700 students and over 60 teachers. The college which started very modestly has played and continues to play a historical role in the formation of women in Nigeria. It has produced and is still producing prominent women in the country amongst whom were the first female Permanent Secretary in the Federal Civil Service, first female bank manager, a Federal minister, ace broadcasters and actresses, national sports women, judges, educationists, bank CEOs etc. and many more are in the forefront of economic, social, political and religious activities in this nation. Glory be to God and thanks to the motto of their Alma Mater “Action not words”. Small classes, dedicated staff and a diverse curriculum which included speech and drama, sports, etiquette and other extracurricular activities strengthened Holy Child’s educational program making it a school of first choice. In 1972 the Lagos State Government took over the College along with other mission and privately owned schools. By the late seventies to the early eighties the governor of Lagos State (Alhaji Lateef Jakande) introduced policies that placed a further strain on the College; it also marked a dark period in the history of the College. For about two decades the College suffered neglect, lack of maintenance, facilities were overstretched due to an unusually large student population, the traditions and culture of the College were practically non-existent. 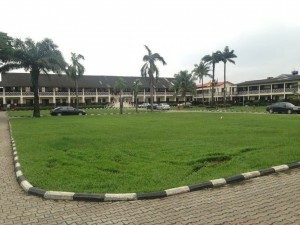 Thankfully, the College was handed back to the Mission in October 2001 by the government of Asiwaju Bola Ahmed Tinubu. The Mission, Old Girls’ association and management immediately set about restoring the College to its former glory. The school environment is evidence of those efforts. It has been years of hard work but both parties continually work together for the good of the College as well as for the present and future generations. Growth and change continue to be evident, as the College endeavours to fulfil Cornelia Connelly’s exhortation to “meet the wants of the age”. Cornelia Connelly’s educational philosophy, dedicated to the growth of the whole child “in all learning and all virtues”, has guided Holy Child throughout its six and a half decades of existence, providing over three thousand young women with an excellent foundation for lives of achievement, service and fulfilment. To provide first-class comprehensive education to girls of all denominations and to inculcate a vibrant self-esteem to enable them live their lives to the fullest, to help others to believe that God lives and acts in them and in our world and to rejoice in His presence. HCCOGA is in the UK! More information about our members and activities coming soon! Watch this space, we’ll keep you posted! Watch this space for all the latest Holy Child College Ikoyi news and events! 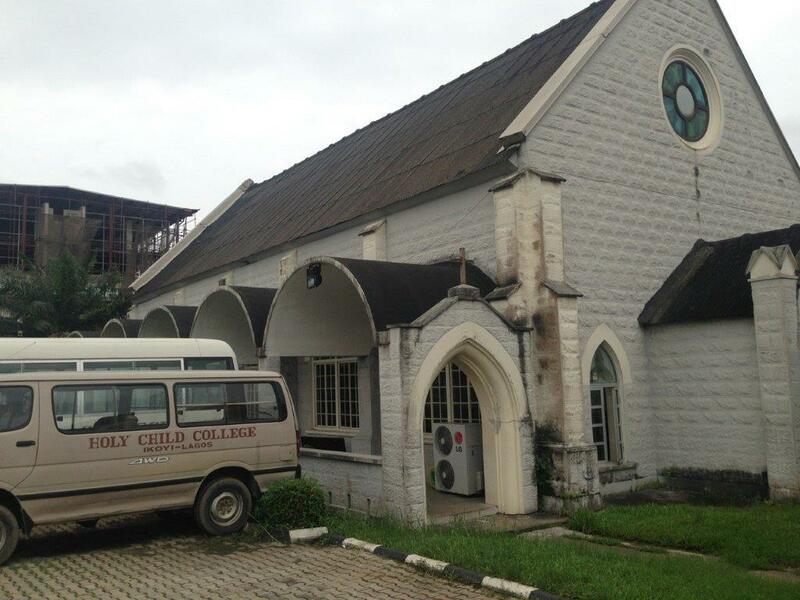 April 9, 1945 remains a memorable day for me and my schoolmates who were privileged to be among the first 30 students of Holy Child College, Ikoyi, Lagos. We remember with love our teachers and fellow students who have passed to the life beyond. 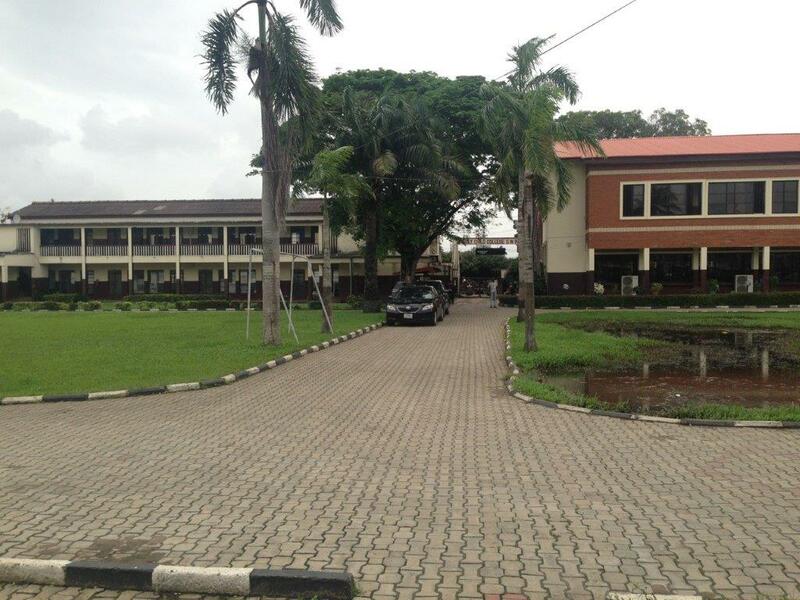 You cannot believe what joyous experiences we had at Holy Child College, Ikoyi. Let me try to give you a taste of the life experiences. Imagine yourself in a college with a student population of thirty. You are in a class of fifteen students. You have four dedicated, well educated, intelligent, committed and loving teachers. They were Reverend Sisters of the Society of the Holy Child Jesus from England and America. What was the ratio of teacher to students, 1:7 or 1:8? Even now that parents pay thousands of dollars in school fees, how many schools can boast of such pleasure? On our first day at school, our books, exercise books and notebooks were already arranged in our desks, which were lined with colourful wrapping papers. We lacked for no school material as they were paid for along with our school fees. We did not have to run around the bookshop chasing books which were scarce or not available. Classes resumed on the first day at school. The Reverend Sisters did not wait for us to remind them of lessons. Most teachers wait in the staff room now, wanting to be reminded of change of lessons. We had a broad based education, moral, mental, physical and spiritual. 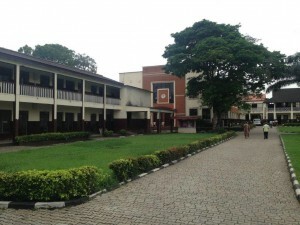 Holy Child College not only excelled in academics but was noted for poetry, drama, arts and music. In the fifties, during the Nigerian Festival of Arts, the college won many laurels. The performance of some of our colleagues in drama even in their sixties and seventies testifies. They remain evergreen. We were taught to do all things to the greater glory of God: AD MARJOREM DEI GLORIA. At the beginning of every new exercise book, we wrote A.M.D.G. Our motto speaks louder still: Actions Not words. 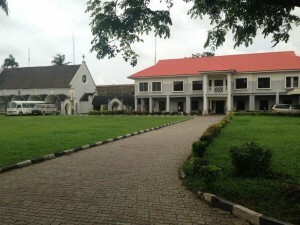 Holy Child College, the college of excellence, may you remain the light that shines on the pillars of girls’ education. We congratulate the sisters of the Holy Child Jesus. God turned the mustard seed into a big tree. May God continue to bless the efforts of the proprietor and all the teachers who have helped to build the great college. Funke Osibodu nee Davies, class of 1975 is Director of Vigeo Power Ltd and the former Chief Executive at Union Bank of Nigeria, one of Nigeria’s biggest banks. She studied economics at the University of Ife, now Obafemi Awolowo University, before completing the advanced management program at Harvard Business School. Her past leadership roles include a stint as chief executive at Vigeo Capital and head of the financial and investment division of Vigeo Group, a diversified conglomerate with interests in energy, shipping and financial services. She was also the managing director of MBC and Ecobank.